Where: East London, The Canvas Café. For Lovers and adventurers of Nigerian cuisine, the menu includes home-cooked stews/curries, snacks; dessert and drinks. Enjoy live music (starts at 8pm) and great food upstairs at Palm 2. 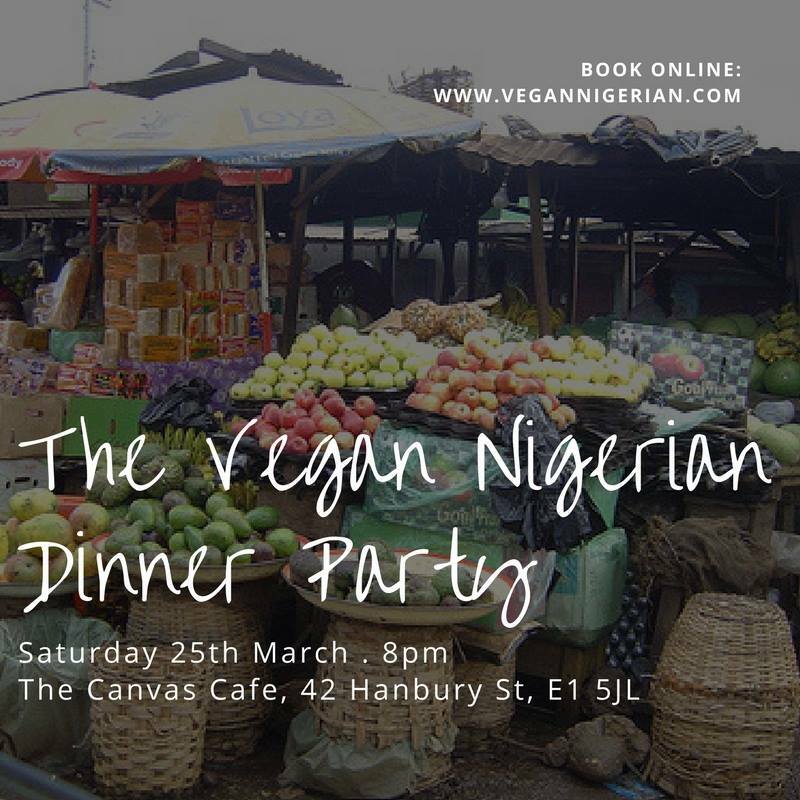 Price: £25 per person which includes a three-course Senegalese feast and live music from some of Baobab favourites: KADIALY KOUYATE and NZAKOMBA! If you still have not caught up with that 2017 detox plan then it is never to late to kick start healthy eating. Pick up a few tips here to heal, rest and repair your body. To find out more try following Angella’s Kitchen on Facebook and asked about our clean eating Vegan Supper Club. To be held in a private location in May with details released 48 hours in advance.